LAHORE: Punjab Governor Malik Muhammad Rafique Rajwana on Wednesday administered the oath to Justice Muhammad Yawar Ali as the chief justice of the Lahore High Court (LHC) during a ceremony held at the Governor House. Punjab Chief Minister Shehbaz Sharif, Punjab Assembly Speaker Rana Muhammad Iqbal, provincial ministers, judges of the LHC, Pakistan Bar Council vice chairman, presidents and office bearers of the Lahore High Court Bar Association and a host of legal luminaries were also present on the occasion. Justice Muhammad Yawar Ali, born on October 23, 1956, got his early education from Lahore and graduated in law in the year 1979. 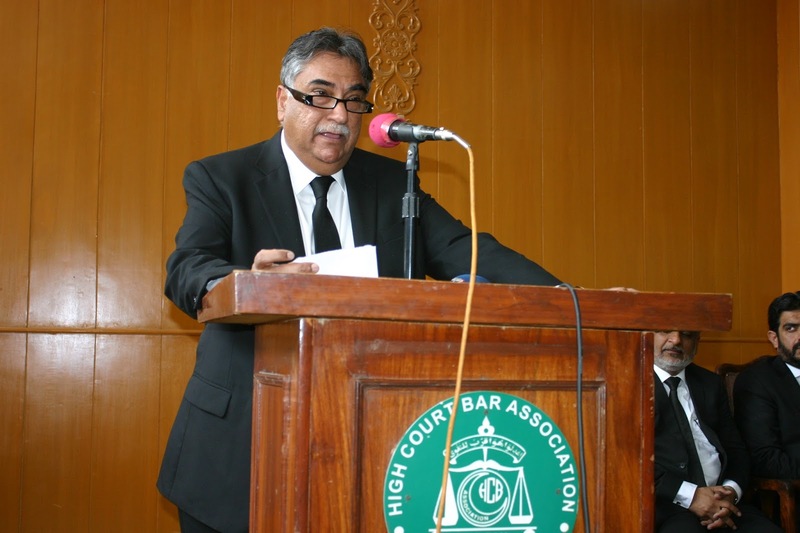 He started his legal practice in the Lahore High Court in 1980 and later became a Supreme Court lawyer in 1986. He was appointed as a Lahore High Court judge in February 2010 and has a good experience in constitutional, administrative and human rights services. Justice Yawar Ali, who is the 46th chief justice of the LHC, has also passed verdicts in high-profile cases, which were admired internationally. Earlier, the newly appointed chief justice met Punjab Governor Malik Muhammad Rafique Rajwana and also the chief minister. Speaking on the occasion, the Punjab governor said the government had made all the possible efforts for the provision of speedy justice to the masses. He said only justice guarantees a peaceful and safe society for which all constitutional institutions would have to play their due role. Rajwana expressed the hope that the incumbent chief justice would play his role in the provision of justice to the masses and will uphold the rule of law. Chief Justice LHC Justice Muhammad Yawar Ali thanked Allah for the honour and resolved to ensure speedy justice in the province.